A trend we have been seeing for quite a few years, but I feel that recently it has been stepped up a little bit. A few years ago, chokers began to surface as an accessories trend with 90s revival, and since then, we have seen lace chokers, velvet chokers, delicate chokers, just about anything that you can wear around your neck. But recently, there has been seeing a few pieces that are really statement and out there. Here are a selection of pieces to add into your accessories drawer to keep you up to date with the trend. 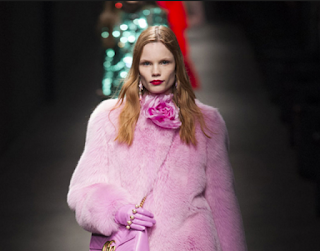 Firstly, we saw corsage style neckpieces on the Gucci runway. Of course Gucci has really had its moment this year with the new creative director Allessandro Michelle. We found some more reasonable pieces at Asos.com. Suzywan at Asos Flower trim choker (here). 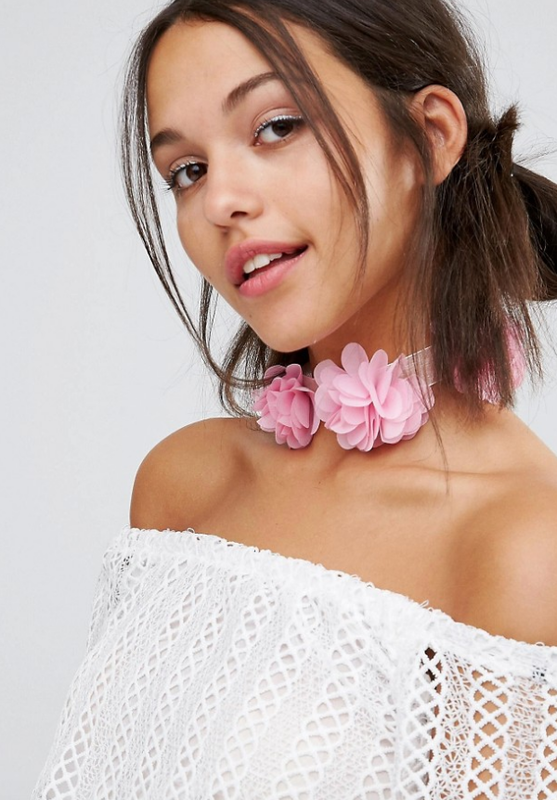 A second trend that has been cropping up is the large velvet band chocker. 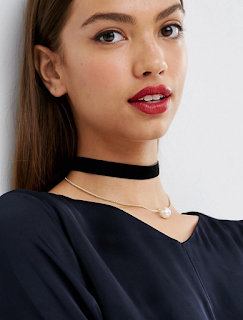 ASOS Velvet and Faux pearl multi-row Choker (here). Another style of the choker trend is the jewelled choker, great for adding a dazzling statement to a classic, simple outfit. 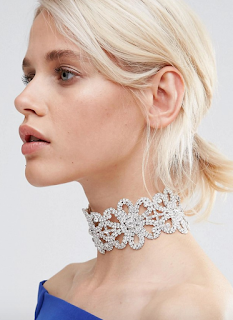 Love Rocks at Asos Flower Rhinestone Choker (here). And lastly, a grungy take on the choker. ASOS 90s Grunge Heart Choker (here).